These grilled oysters are a treat to make on the grill over hot flames. The general rule is that you can find fresh Gulf oysters in any month that has an R in it. So May to August is not the best time to find fresh oysters, but the cooler months are great for these delicious mollusks. Light your grill and set it up for direct heat at about 500 degrees. Remove the rack from the grill and set it aside so you can place the oysters on it. On the stove, melt 4 tablespoons of butter and add the Worcestershire sauce, smoked paprika, hot sauce, lemon juice, and parsley. Once combined, remove from the heat and set aside. Scrub the oysters under cool water and remove any grit attached to the shell. Using an oyster shucker, or a Flathead screwdriver, crack open the oyster and twist it open. It is easiest if you hold the hinge side towards you and place the end of the shucker tool into that hinge with some pressure, then twist it to open. Use some thick gloves or a towel around the hand holding the oyster in case you slip. Make sure the deepest side of the oyster is on the bottom so it can hold the most liquid. Once it is cracked open, run the shucker tool across the top shell to separate the muscle from the oyster. Next, use the shucker tool to remove the muscle from the bottom shell so it is easier to eat. It is a good idea to wipe the shucking tool on a towel frequently so you do not put any grit inside the oyster. Discard the top shell and place the bottom shell with the oysters on your grilling rack. Once all oysters are ready, place the rack with oysters on the hot grill. Using the rack as a bed for the oysters will keep them from tipping over on a normal flat surface. You want to keep the liquor in the shell when grilling. Let these cook for about one minute, then spoon some of the butter mixture into each shell. Be careful for flare ups. Cook the oysters for about 3-4 minutes, making sure you do not overcook the oysters. It is okay if parts of the oyster are still raw*. The edges of the oyster will turn upwards a little when they are ready. Serve with hot sauce and lemon wedges on the side. These oysters would pair well as a surf and turf with a perfectly grilled tri tip or with some grilled garlic bread to soak up the butter sauce! Add some fresh horseradish on top of the oysters before drizzling on the butter to spice it up and add some flavor… or sprinkle on some grated Parmesan and Romano cheese at the end for a rich, delicious bite. If you want to purchase pre-shucked oysters and avoid the hassle of shucking them, these Oyster Beds or SOS shells work great for cooking on the grill. Sometimes oysters in the shell might not be available, depending on the season, so these vessels below are great to have to cook oysters and other seafood and vegetables in! You can purchase oyster shucker tools online, often with included safety gloves, which we highly recommend for safety. * Note that consuming raw or under-cooked meats, poultry, seafood, shellfish, or eggs, may increase your risk of food-borne illness. 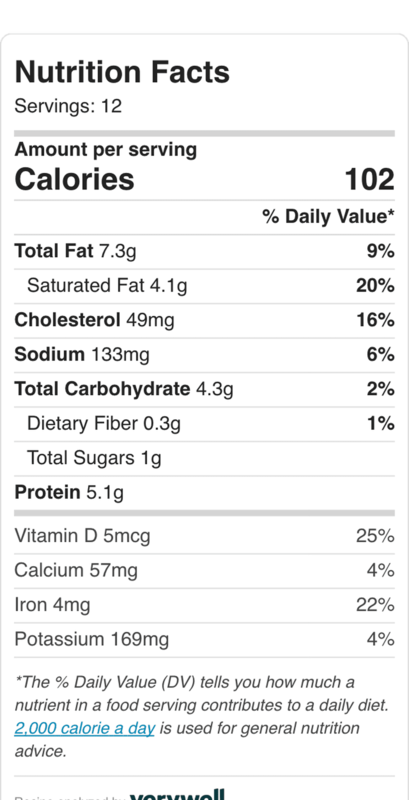 **Nutritional facts were calculated using verywellfit.com tool.